I did not get to write as much (although it is part of my job to write! lol), spent 10am -4pm on Premium beautiful fittings and business consultations, re-stocking Premium Beautiful for never ending Raya crowd. And at night, I gave my parents a break from taking care of Safiyyah and focusing on their Ramadhan religious activities, and I spent my time at home cooking for iftar, caring for Safiyyah and taking my time for more Quran and me time with Allah. Occasionally, I do take some night appointments (usually after terawih) , where my husband can tag along and play with Safiyyah whilst I consult my clients. alhamdulillah, life is more relax, and syukur, Allah cukupkan semua, walaupun kami belum mewah. Afterall, the goal of doing something is for YOU to be CONTENT and HAPPY! Being rich does not really guarantee happiness, so does being poor. But having ENOUGH, and not having financial and time stress, is definitely MY GOAL. Duit ada, nak beli boleh, tak beli pun boleh. Masa banyak, nak buat apa pun boleh. Tak terikat dengan waktu bekerja dan komitment office. 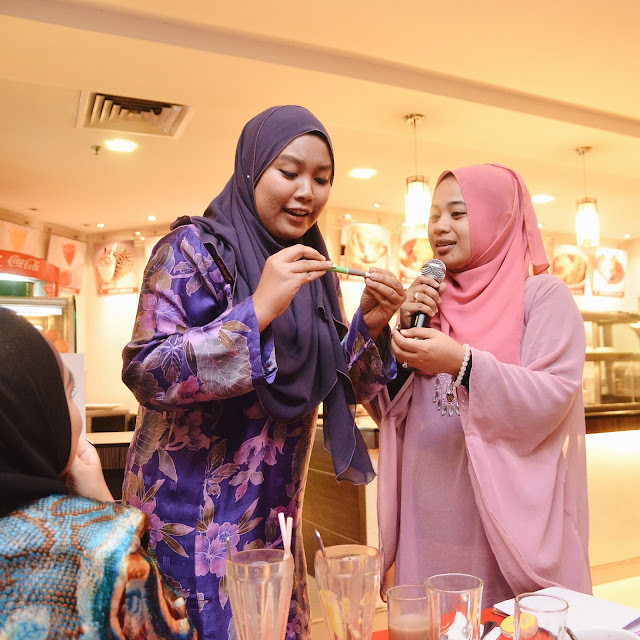 okay, just nak cerita jugak, we had occasional iftar outside this time - although actually we wanted to bersederhana dengan memasak je hari-hari since my parents memang berbuka di masjid setiap hari! 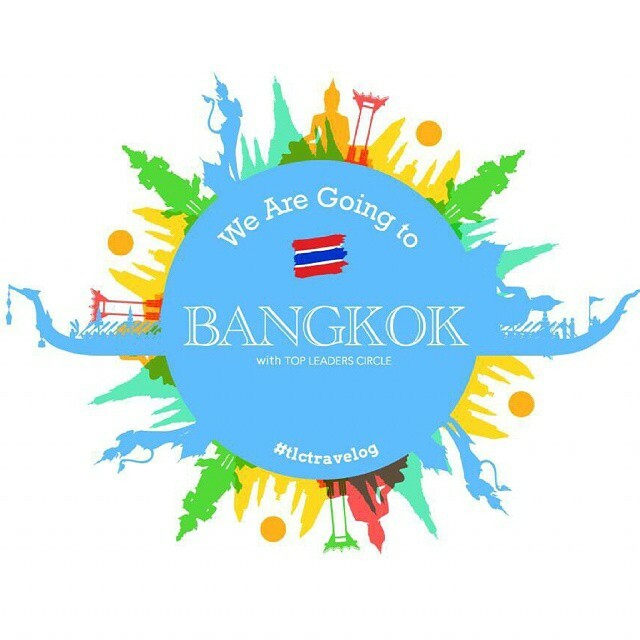 alhamdulillah, with this business, I have travelled non stop for FREE, since my first trip to Vietnam, Guangzhou, Korea, Gold Coast Australia, Shanghai and now Bangkok! syukur, incentive dalam business ni bukan sahaja bonus yang GEMOK, malahan FREE TRIPS around the world and also I am blessed with great mentors yang tak jemu-jemu pimpin tangan I sepanjang almost 4 tahun berbisnes . 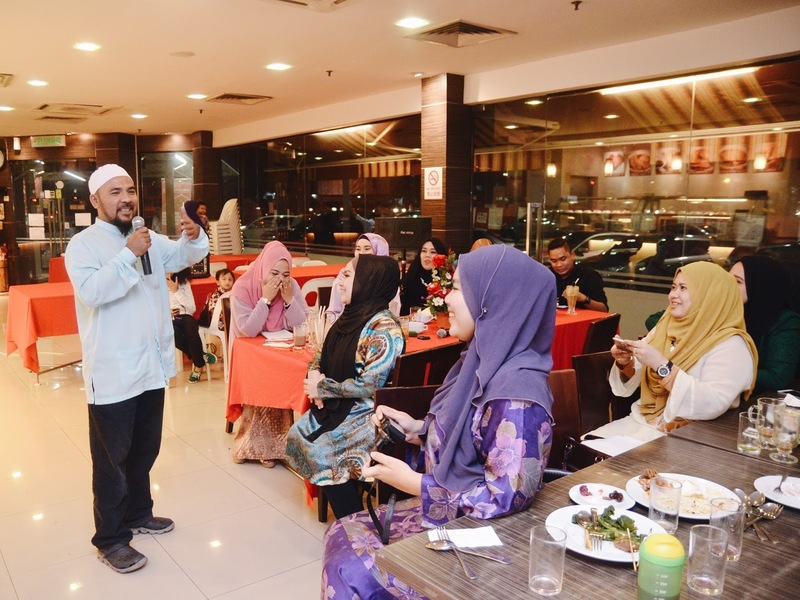 okay, so our dinner was held in one of our TLC sisters restaurant, SARI RATU PRIMA , SUBANG PARADE! 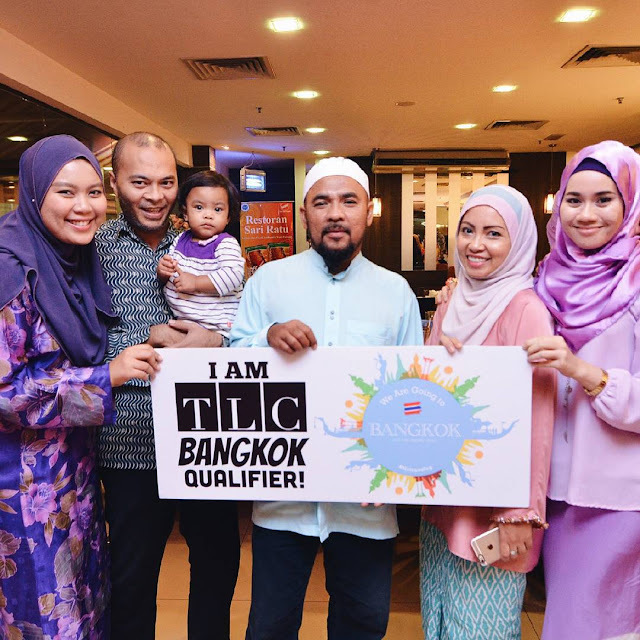 we are proud Bangkok Qualifiers! Group pic! some of the qualifiers who made it at the dinner! 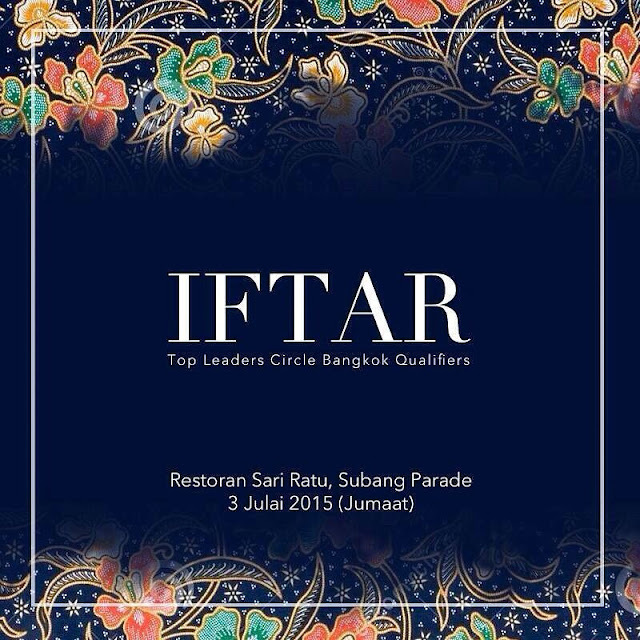 ada yang outstation tu tak dapat hadir...but we'll see you at KLIA! with my mentors, CDM Izyan and our multi millionaire master mentor CDM Azlan Deraman. mereka nilah yang tak jemu-jemu motoivate and pastikan I tak mudah putus asa dan sentiasa on track dalam biz ni! and of sourse tulang belakang I dalam biz which is my husband and my darling daughter! 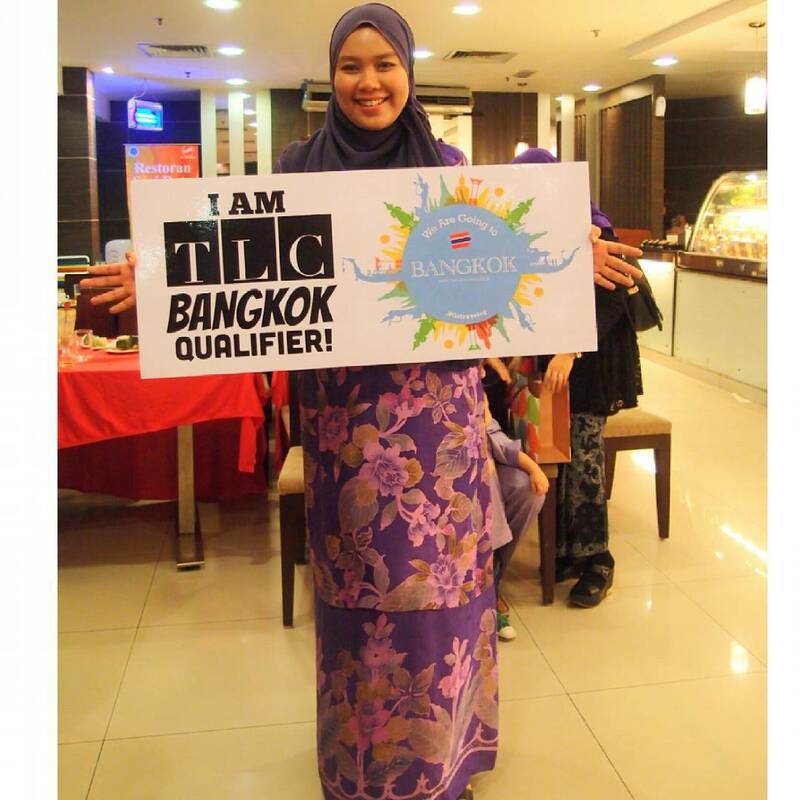 and congrats to our biz partner in Team GP, kak Mira yang berjaya qualify to Bangkok walaup[un baru 2 bulan berkecimpung dalam biz ni! we had some games after iftar! and we won some prizes!!! kata-kata semangat dari our multi millionaire mentor! tq Abg Lan for gracing our iftar - despite being an imam in his neighborhood surau, Abang Lan tak pernah kecewakan jemputan dari TLC! 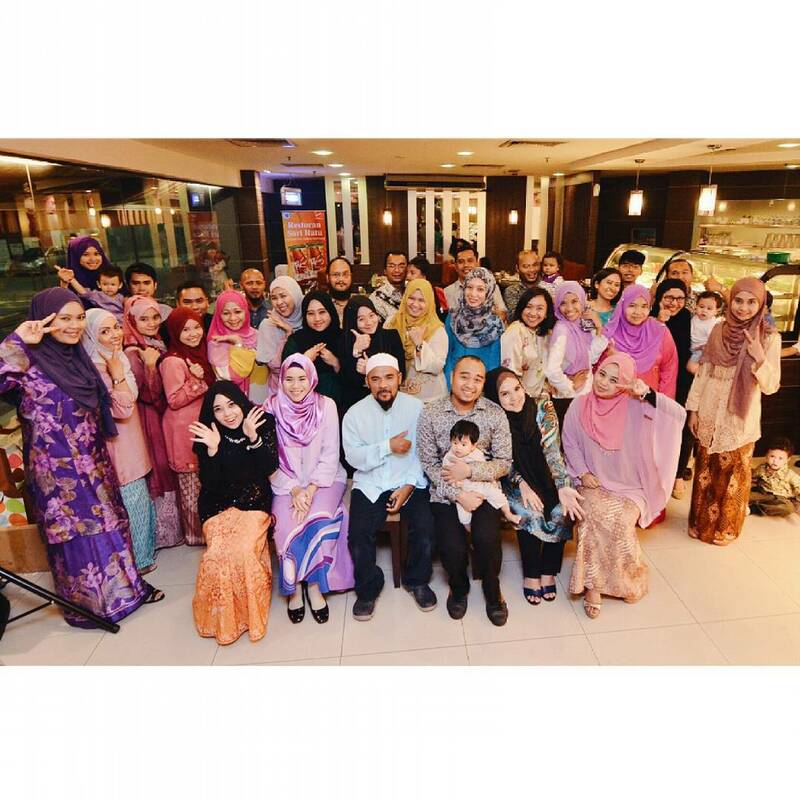 overall, love the event, food was great with nasi padang dishes and alpukat heheheh and great company with all the TLC crowd! We will depart on 24th August, so dalam 1 bulan lagikkk!!! till my next update, Salam Aidilfitri to all of you and family ya!